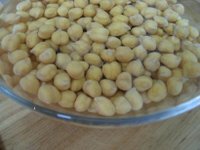 nohut,chick peas,hummus yes I know all are the same thing.We love chick peas, in any dish and I cook them every week now, more like a salad not as a hummus spread. You can buy here, dry chich peas in 1/2 kg or 1 kg packages or cooked and frozen chick peas.. or canned chick peas , I'm not talking about hummus spread.. which you can buy in diferent tastes, and any amount. Anyway eating chick peas is filling and healthy..
Ok, we want to eat nohut today.. lets cook it first - I'll write here 'mom's version' , there is no written recipe. 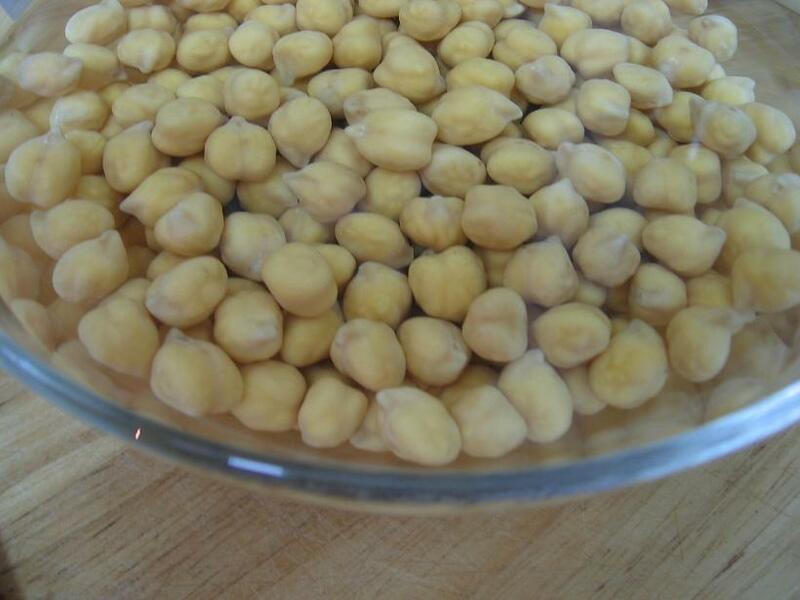 If you buy dry chick peas soak them in water for 12 - 24 hours. (above pic..)and then cook them in water, for few hours until soft. yes they have to be very soft,the next step.. is very short..
For 1 cup precooked chick peas you need 1/2 cup rice, about 2-3 TB sugar ,1/2 ts salt, honey(it's not a must), 2 TB oil and water to cover the chick peas.I know ,the quantity is for a small dish, but be sure first .. you like it. Mix and cook the 'nohut' covered for 20-30 minutes or until done.. that's it-isn't it easy? 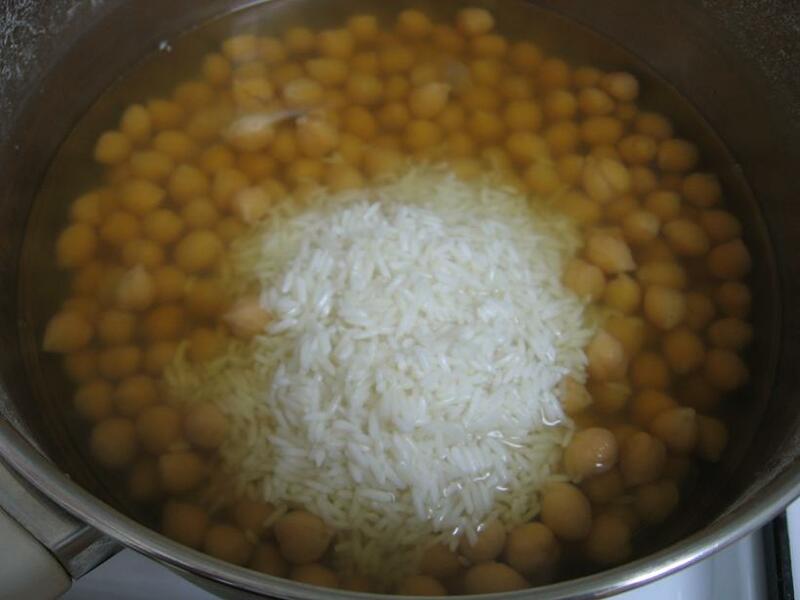 .And now if you don't use dry chick peas, you can get a quick dish in 20 minutes. 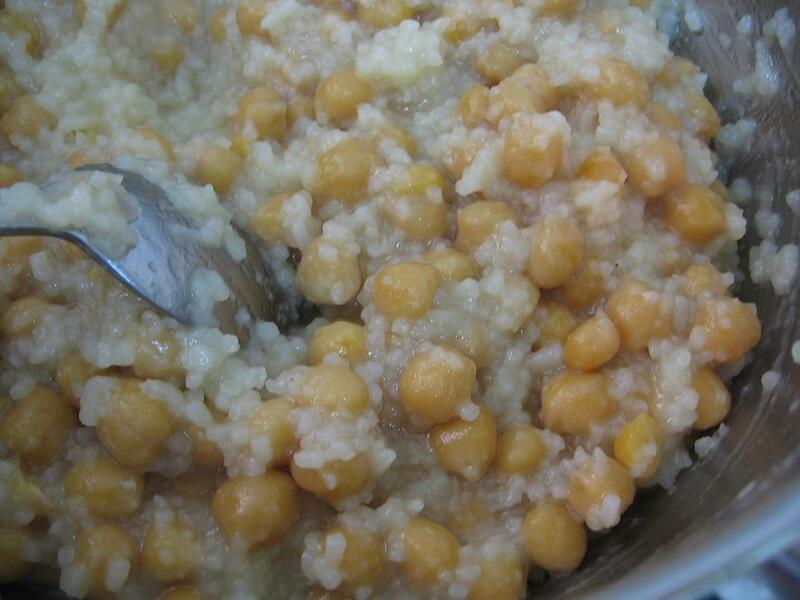 It is best eaten warm or cold as a dessert or like a side-dish.